Julio, Gabriel and Rolando of Tercerunquinto have been in Columbus for the past few days. They are researching for what will be made this fall. Today, we visited a rather unique space on Columbus’s east side. 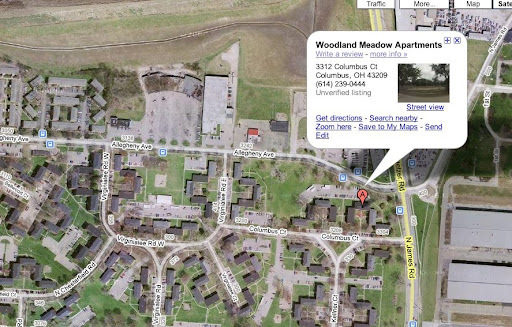 It is now a vast open green space where once was Columbus the housing project Woodland Meadows, built in the 1950s. While Google Maps indicates otherwise, in fact bits of asphalt under weeds and shade trees are now the only traces of the neighborhood once present.